For years, many health care professionals recommended that patients cut back on sodium, mainly due to concerns that a high-sodium diet causes a rise in blood pressure. With cardiovascular disease being the top cause of death in Western countries, anything that can lower blood pressure, a risk factor for heart disease, is important. Of course, if you eat packaged foods, that’s easier said than done! That’s because there’s an abundance of sodium in most processed foods, even ones you wouldn’t characteristically think of as salty. Salt adds flavor to food and increases a food’s mouth appeal, so food manufacturers love it, regardless of its impact on health. At one time, health care professionals almost universally advised patients to cut down on salt, but these recommendations are more subdued after studies called into question whether low-sodium diets have health benefits. In fact, some research suggests a diet low in sodium may be harmful. Is there any truth to this? One of the reasons health care practitioners recommend cutting back on sodium is based on the belief that a high-sodium diet triggers a rise in blood pressure – but is that really the case? A well-conducted study that followed 2,600 women and men for 16 years failed to show that a low-sodium diet lowered blood pressure at all. In fact, a Framingham study found that reducing sodium intake to 2,300 mg daily or below, the amount of sodium previously recommended for a healthy person, was associated with a RISE in systolic and diastolic blood pressure, not exactly what the researchers were expecting. 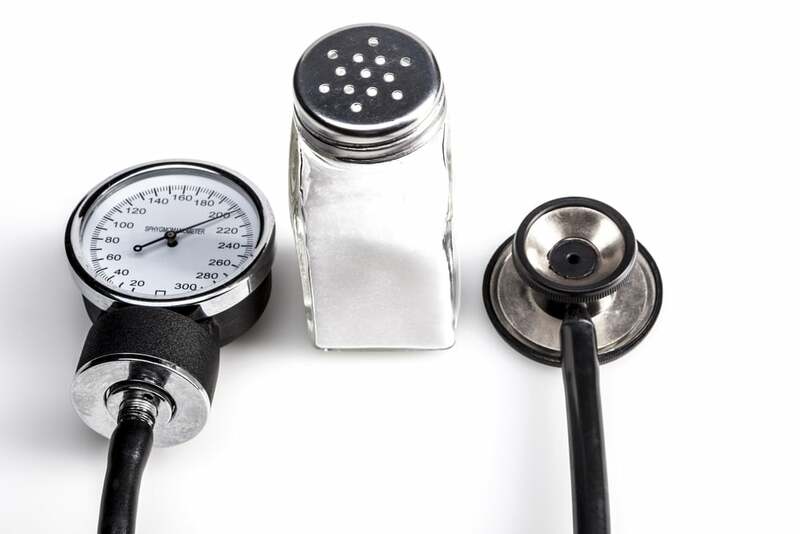 Surprisingly, the lowest blood pressure readings were in participants who consumed 4,000 milligrams of sodium daily, an amount that many practitioners believe is on the high side. Also, in the study, those who consumed more dietary potassium had lower blood pressure as well. That’s not surprising. A number of studies show that potassium is important for blood pressure control, as are magnesium and calcium. Still, hypertension is only one factor that contributes to heart disease. Could a high-sodium diet raise the risk of heart disease in a way that’s independent of blood pressure? According to a recent study, a high-sodium diet is linked with a greater risk of heart failure, a condition where the heart doesn’t pump blood to the rest of the body as effectively as a normal heart. With heart failure, the heart muscle is in a weakened state and is sometimes dilated as well. Heart failure has a high mortality rate and is often managed with medications that reduce the burden on the heart. In the study, researchers followed 4,630 men and women for 12 years. Over the course of the study, they monitored a variety of parameters to determine how many developed heart failure relative to their sodium intake. What they found was participants who consumed more than 13.7 grams of salt per day were at double the risk of developing heart failure compared to those who consumed less than 6.8 grams per day – and this risk was independent of blood pressure. What does this mean? It suggests that a high-sodium diet was linked with heart failure irrespective of its impact on blood pressure. So, just because sodium doesn’t raise blood pressure doesn’t mean it’s not harmful to your heart. Heart failure has a high mortality. Yet, it’s important to note in this study, the participants were consuming high quantities of sodium (up to 13.7 grams). The American Heart Association and American Diabetes Association recommend no more than 2300 milligrams of sodium daily. You might wonder why a low-sodium diet would, in studies, have the paradoxical effect of raising blood pressure. Studies show that sodium restriction causes a rise in insulin as well as another protein in the blood called C-peptide. Both are linked with insulin resistance and poor metabolic health and these, in turn, are associated with hypertension. Sodium may even have unexpected health benefits. There’s evidence that diets higher in sodium increase the number of channels on cells that transport glucose into the cell, thereby reducing the amount of insulin the pancreas has to release to get glucose into cells. So, a a high-sodium diet may be more favorable for metabolic health and for blood pressure control. While how much sodium is optimal for health is in question based on recent studies, it’s clear that most people need more dietary potassium for heart health. Studies show that consuming a potassium-rich diet is linked with a lower risk of ischemic stroke, the most common type of stroke that adults of all ages experience. One study found that the lowest risk of stroke was in those who consumed around 3500 milligrams of potassium daily. That’s less than what most people get on a daily basis. In fact, the average American only consumes 2,640 milligrams of potassium per day. Is there a limit to how much potassium you should consume? It’s hard to get too much potassium since your kidneys filter out the excess. The exception is people who have kidney failure. With kidney failure, excess dietary potassium can build up since the kidneys aren’t functioning well. In fact, people with kidney failure often have to go on a low-potassium diet as their kidneys can’t eliminate it. If you have a history of kidney failure, talk to your doctor before consuming lots of potassium-rich foods. What foods contain potassium? Fruits and vegetables are a good source with dark, leafy, greens topping the list as well as citrus fruits, dried beans, potatoes, and winter squash. Whole, unprocessed foods are your best bet. Enjoy them in abundance! We know that they offer a multitude of health benefits for your heart. As far as sodium? Avoid packaged foods, but until we know more, don’t go on a low-sodium diet unless your doctor recommends it. J Am Heart Assoc. 2016 Oct 6;5(10). pii: e004210. The American Journal of Medicine. (2017) 130, 893-899. Food Surveys Research Group. Dietary Data Brief No. 10. September 2012.
salt ous and important nutrient! We use pink Himalayan sea salt.